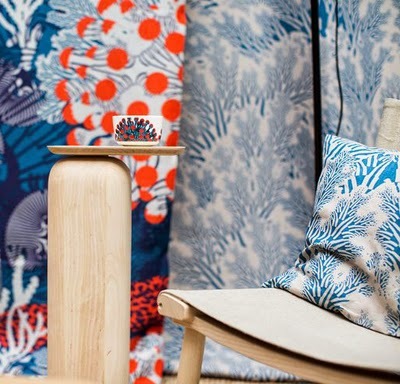 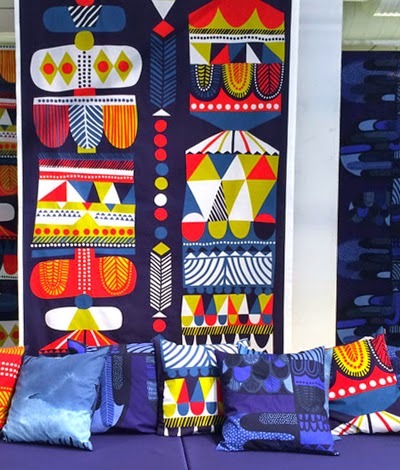 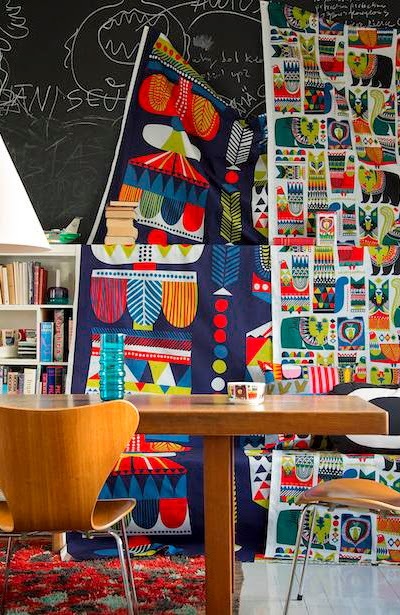 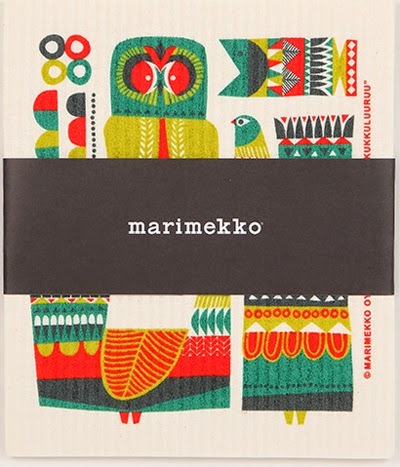 Following on from yesterday's Sanna Annukka posts I thought it would be great to finish the week with some Marimekko for our regular Friday eye candy feature. 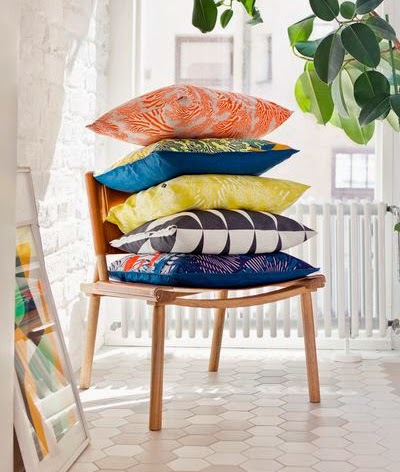 The line up starts with a design called Merivuokko by Kustaa Saksi which is new for SS2015. 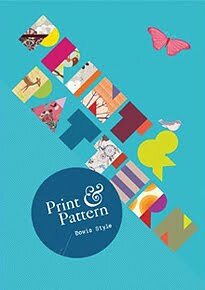 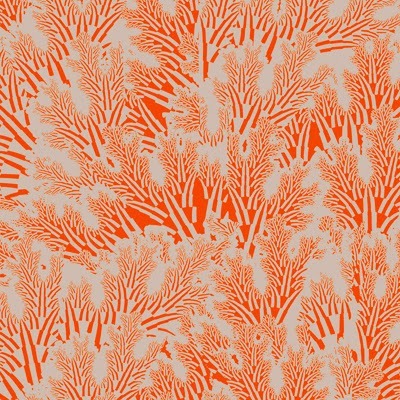 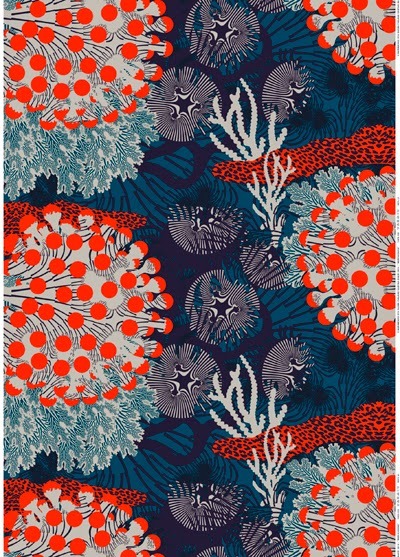 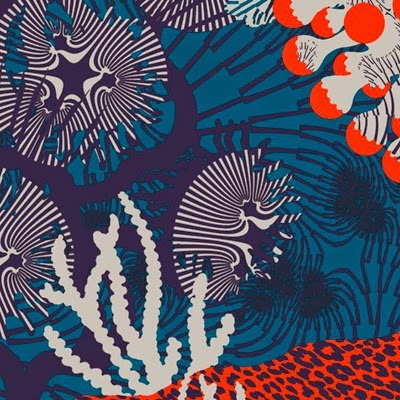 This large scale underwater landscape was inspired by a coral reef and is complimented by another print - Meriheina. 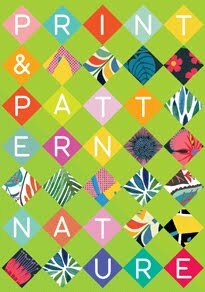 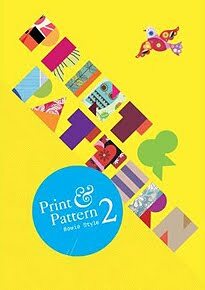 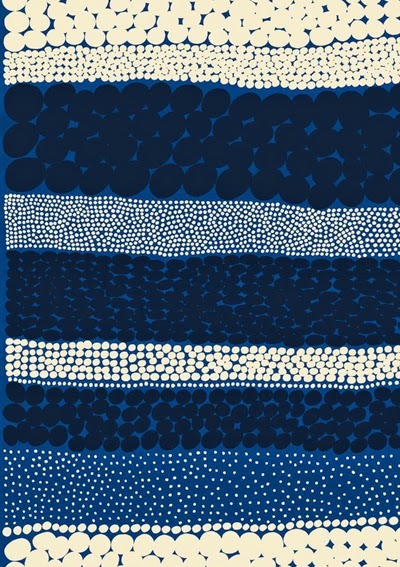 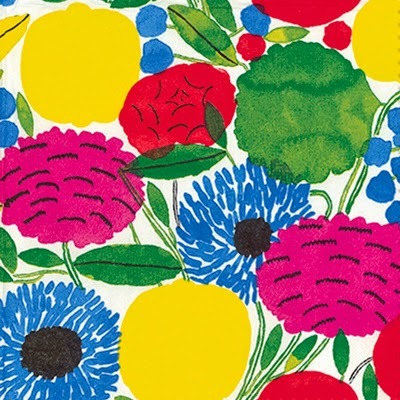 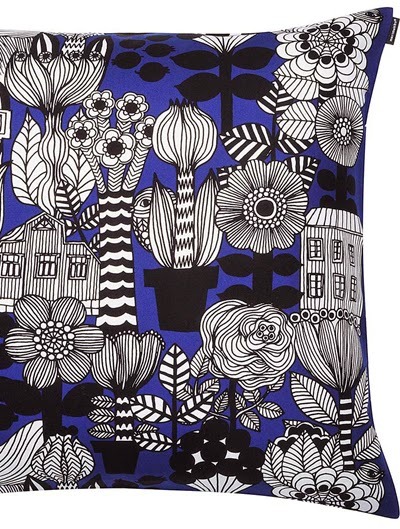 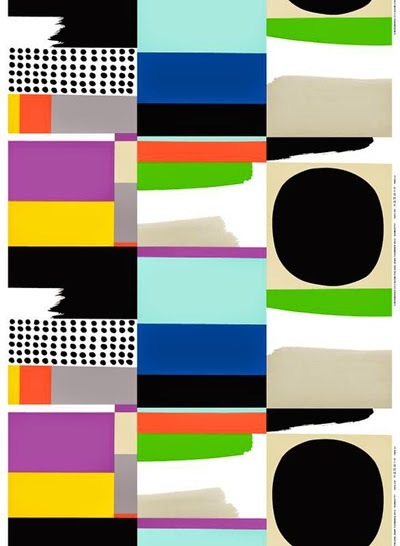 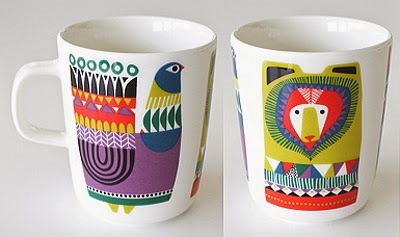 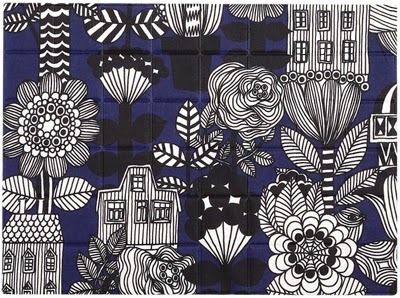 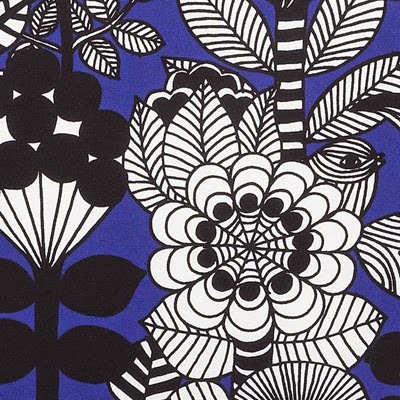 Today's posts are all about paying tribute to the amazing work of Sanna Annukka for Marimekko. 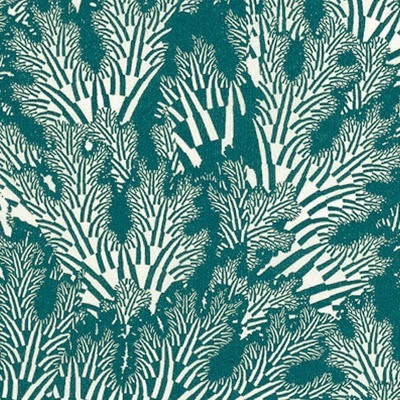 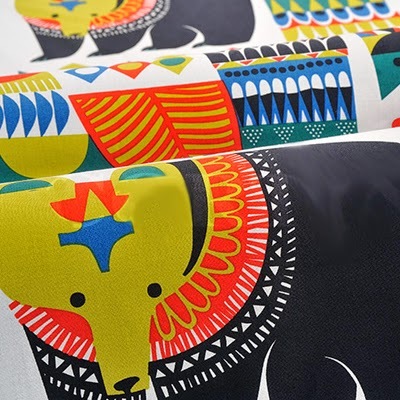 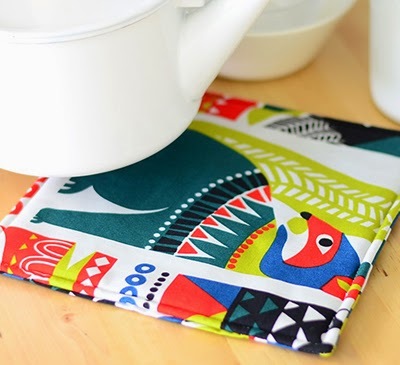 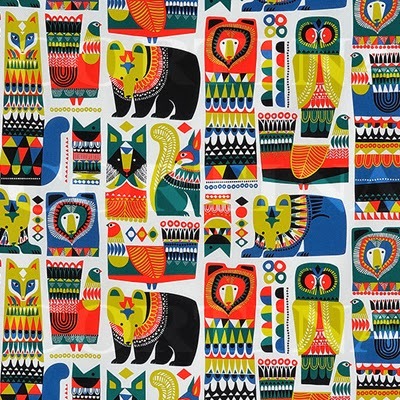 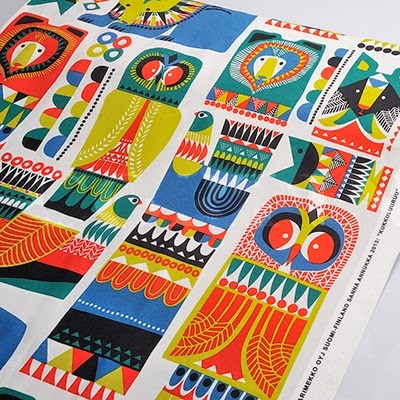 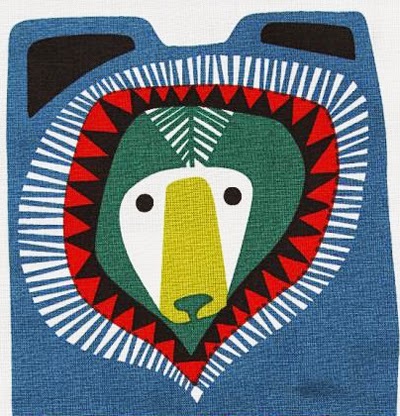 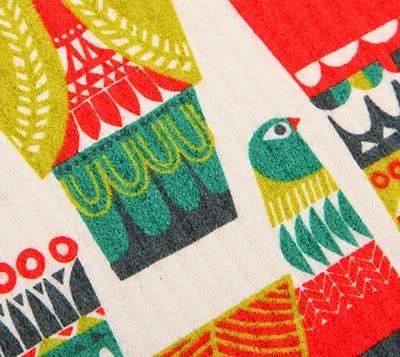 We start with one of Sanna's latest prints for the Finnish fabric legends called 'Kukuluuruu' (meaning 'peek a boo') which was inspired by the rich wildlife found in the forests of Scandinavia. 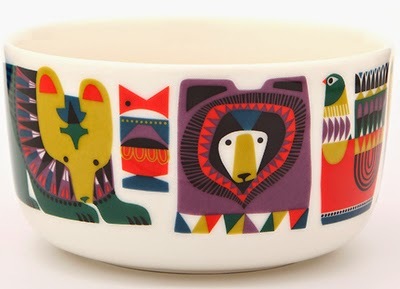 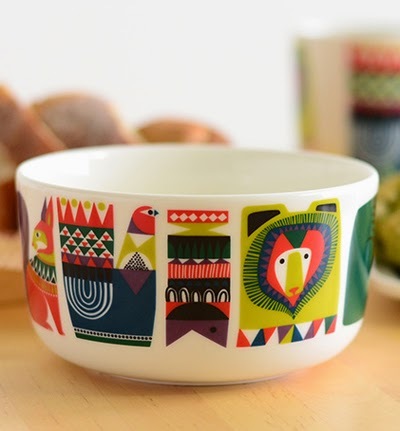 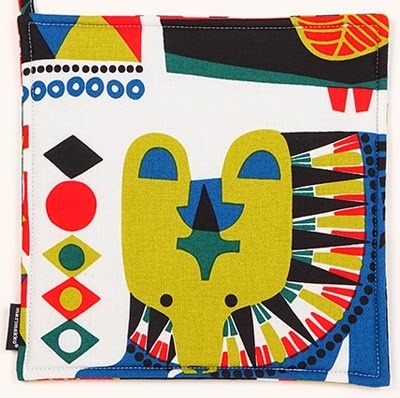 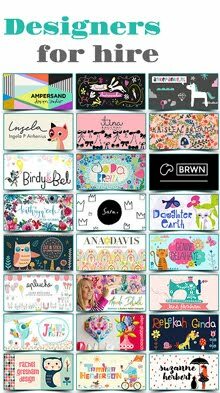 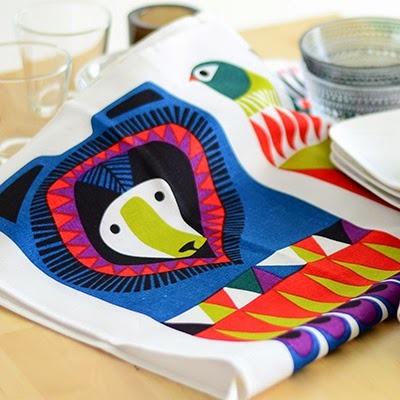 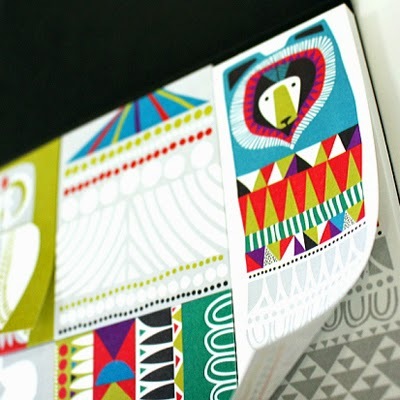 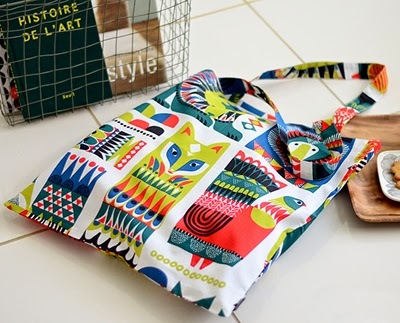 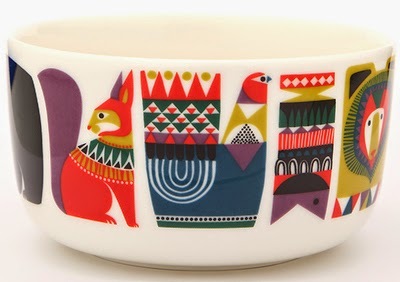 Sanna's super styled animals are covered in vibrant coloured geometric shapes and gorgeous details with folksy 'totem' feel. 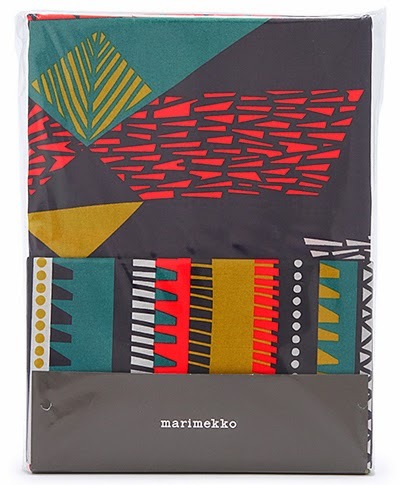 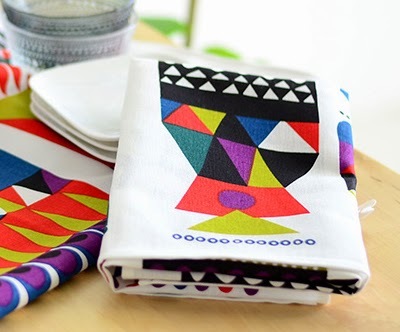 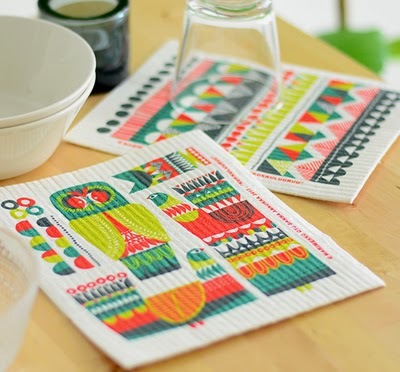 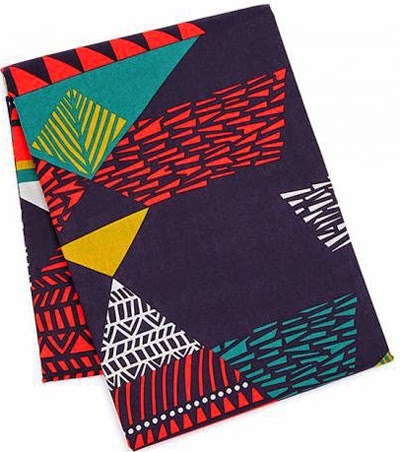 Released in Marimekko's AW14 range Kukuluuruu is available on fabric, tableware, kitchen accessories, bedlinen and stationery and works alongside another Sanna print called 'Toteemi'. 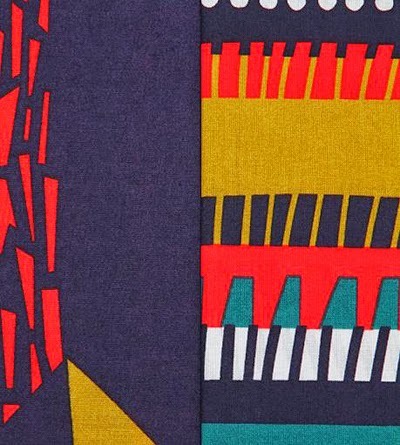 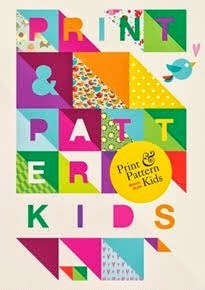 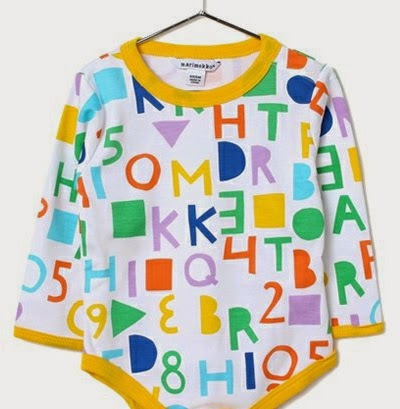 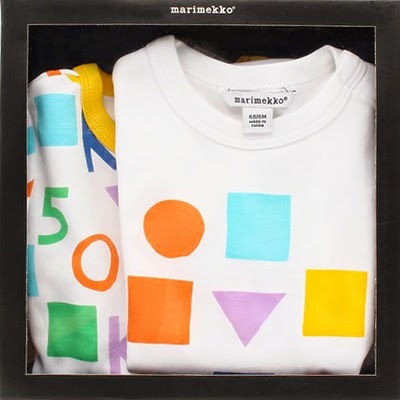 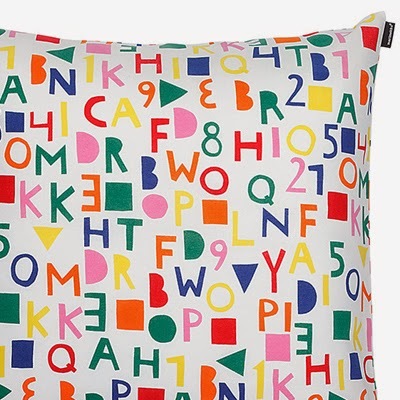 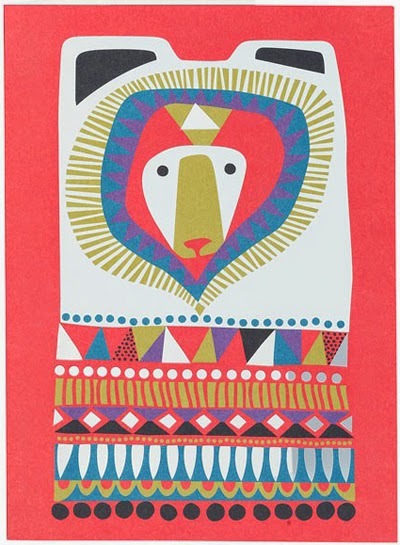 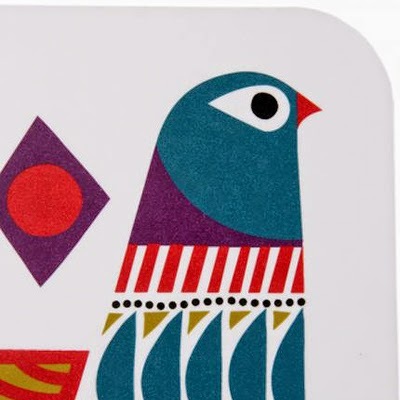 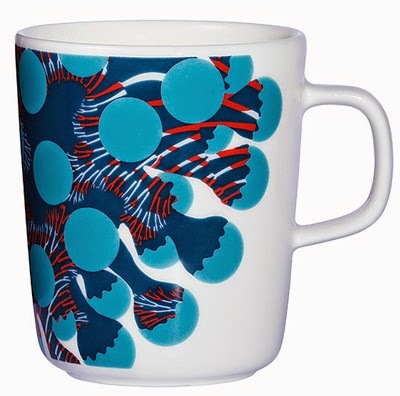 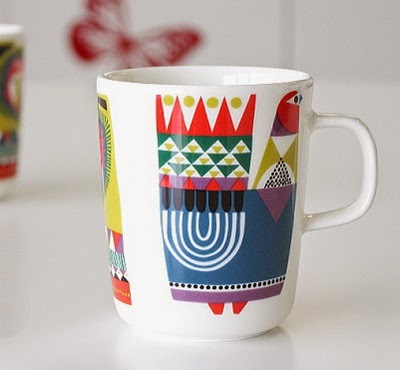 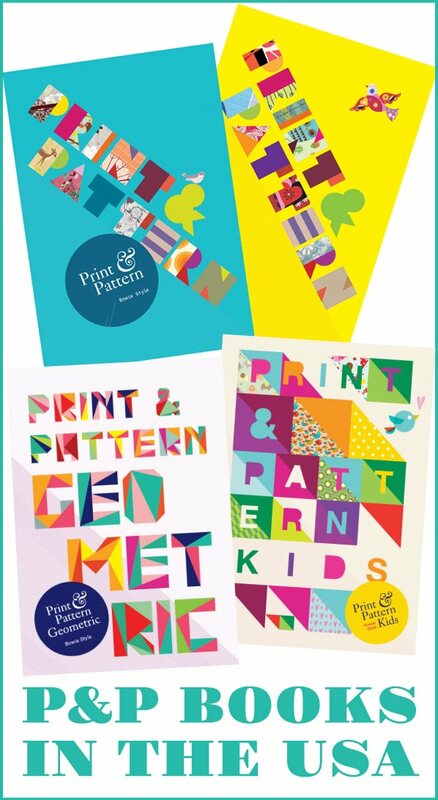 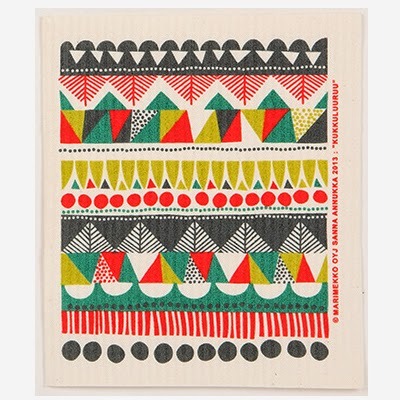 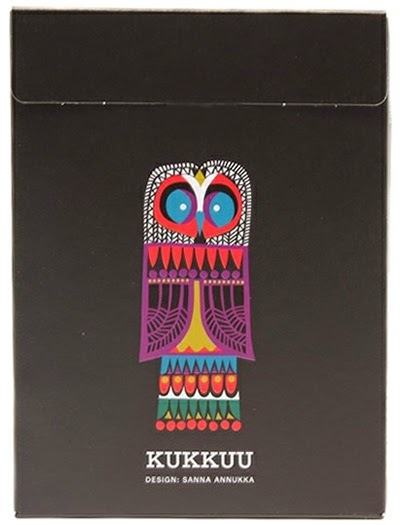 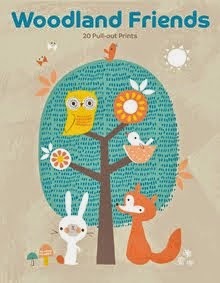 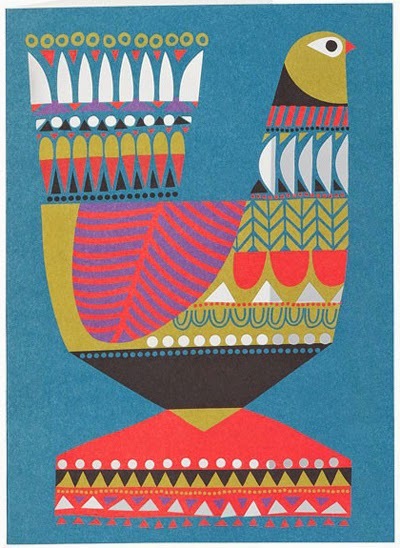 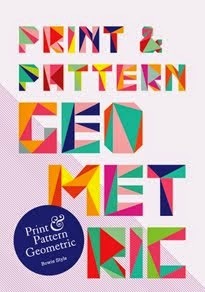 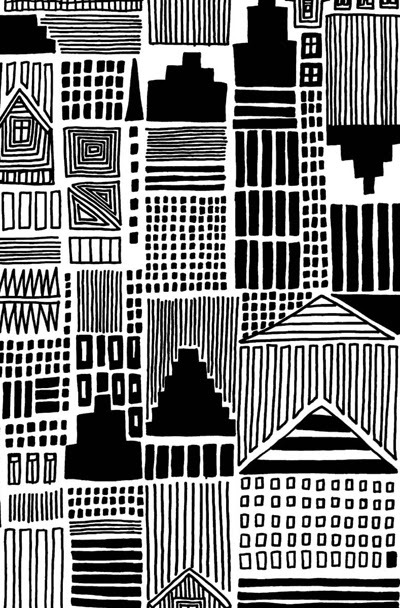 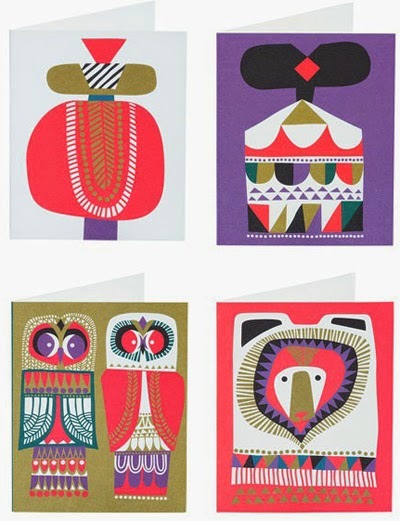 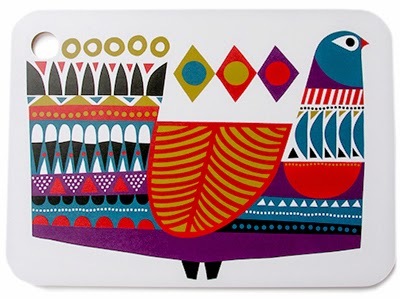 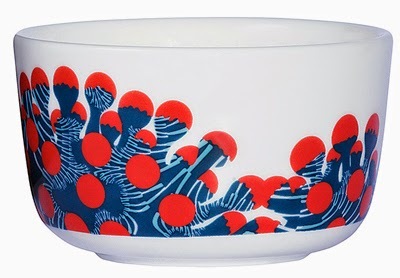 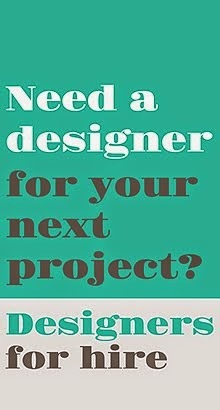 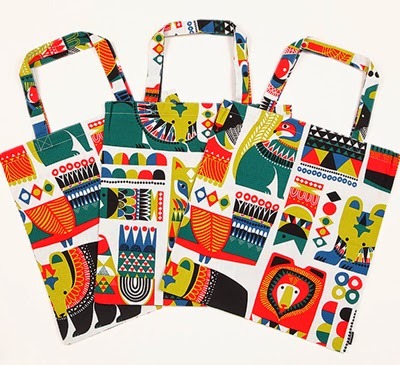 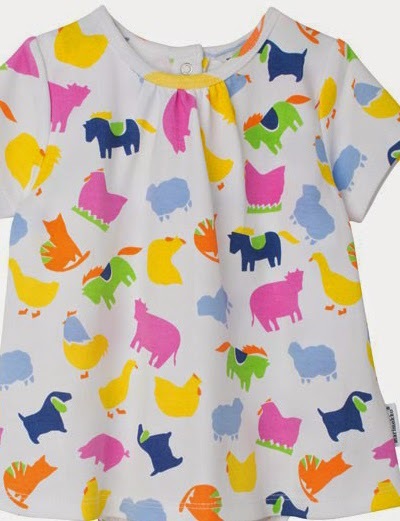 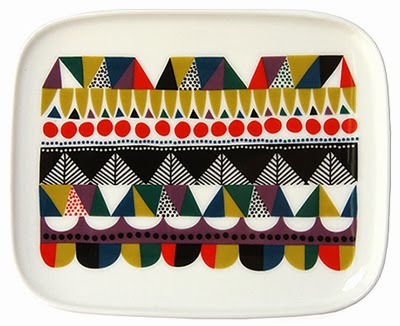 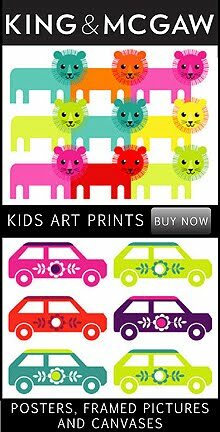 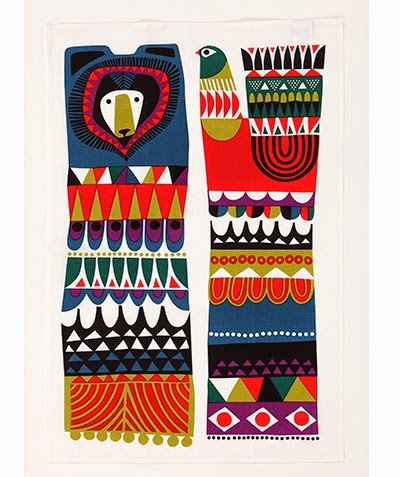 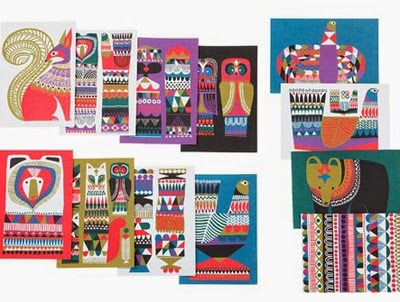 See more online from Marimekko or Sanna Annukka.